Wellness • Comments Off on Where’s your head at? I have always loved the song “Where’s your head at? by Basement Jaxx. It has been a great running song for me with an upbeat tempo but the title itself has rung true too. My running journey originally began after a horrible breakdown of my marriage. It was my only escape where I could run and get away from the life I was living. I would run often angry, emotional and overwhelmed. Even as I type these words I am filled with emotion as this journey has been far greater than I could of imagined. ~Running has been a gift to me, although not born naturally a runner it is the only thing that has challenged me beyond my greatest capabilities. “When our world begins to fail us we must look inwards to find the answers“. 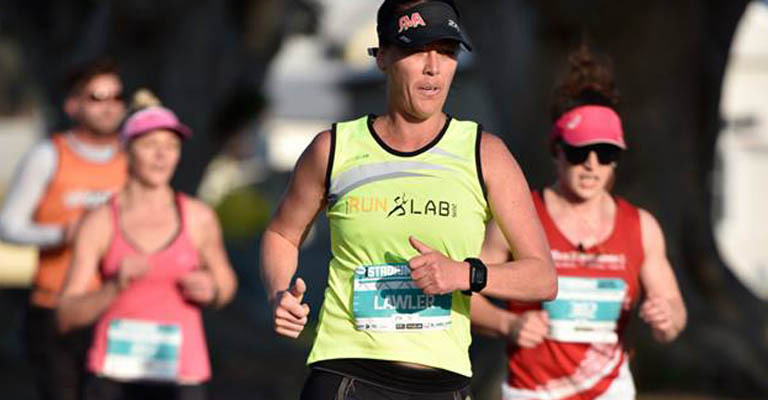 I set myself what I thought was a very unrealistic goal earlier in the year when I joined a running group called Runlab. The only goal I set myself when asked by my coach was to run a half marathon. I set no other goals. I completed that first goal in the 4 months after joining my running group. On a high post race when the endorphins are running high I signed up for more and to date I have completed 2 half marathons, City to surf, Sutherland to Surf, Kamay 20km Trail run and 29km Coastal Classic. Although proud of my physical achievements it is my mental strength that I am most proud of. ~This journey has always being about mental toughness for me. You may beg to differ but I am not the confident type and have struggled my whole life with my self image and self esteem. Running removes me from this. The negative self talk that we all endure is loud when I am not running. Very recently I found myself again pushed backwards, negative self talk was loud, confidence hit an all time low again and failure set into my mindset. The negative self talk was loud and although I was running the running wouldn’t make it go away. The voices were loud ‘you are not good enough, you are a loser’, the voices were following me so I decided it was time for a new goal, shift the mindset and give focus to what seemed darkness. So in a moment of madness I signed up for my first Ultra Trail Marathon. “Where’s your head at?” Is what I have asked myself on numerous occasions since booking my place in this 50km ultra trail marathon in the Blue Mountains in May next year. I can do this, I know I can and its this attitude I have carried my whole life that will get me through this. So is this a mental test or a physical test I am setting myself? I am blogging my journey from beginning to end not only to provide inspiration but to also be someone to be admired for overcoming hurdles that may not always be evident on the outside. If I inspire one person I will be satisfied. So here I am Nov 1st 2015. I hope you enjoy my journey as it will be as raw as I can possibly be. » Wellness » Where’s your head at?